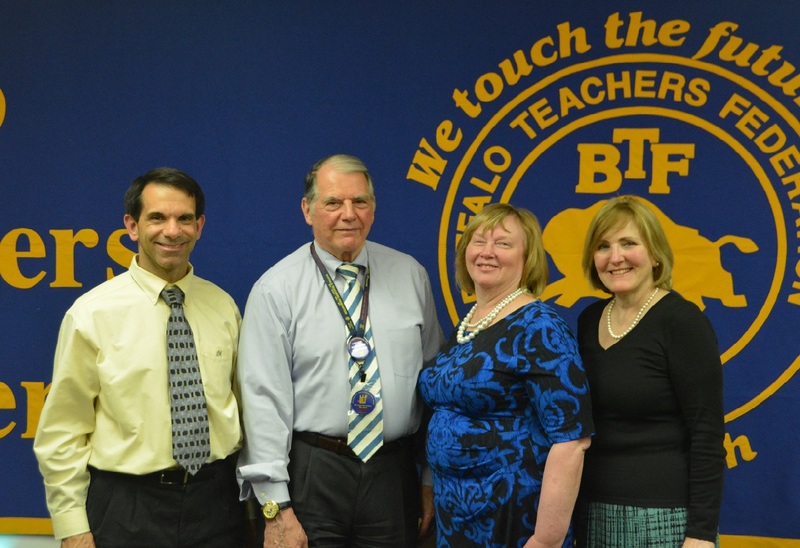 The BTF newsletter containing a brief synopses of important, current information on major topics affecting the members of the BTF. 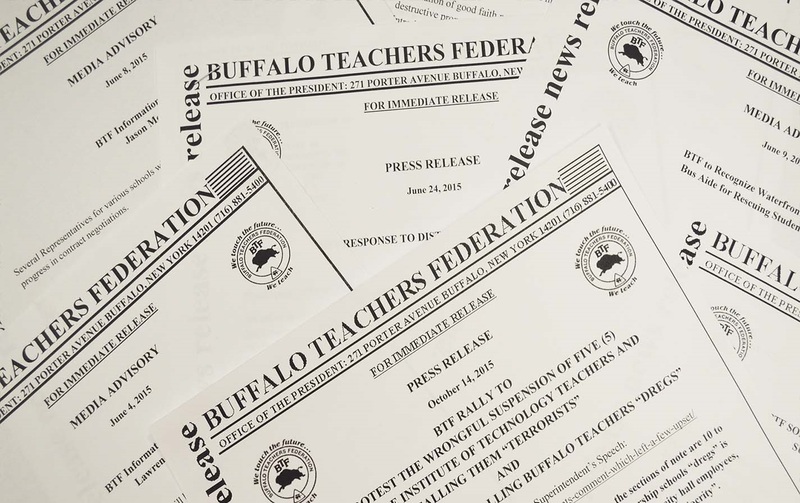 The publication of the Buffalo Teachers Federation that contains important information, editorials upcoming events, and paid advertisements. Communications to the media regarding significant positiona, events or other news worthy items affecting the Buffalo Teachers Federation. The APPR is a process by which teachers are evaluated in New York State. The intent of APPR is to assist educators to improve the quality of instruction in schools and, in turn, to improve students' performance for colleges and careers. District APPR plans must meet strict state guidelines and be negotiated with local unions. Under state guidelines, APPR takes into account classroom observations and student performance. Teachers across New York ultimately receive an overall effectiveness rating every year. Teachers have always been evaluated and held accountable to certain standards, but the new state law mandates that all educators participate in APPR. APPR is complex and can often be overwhelming. Click here to keep up to date on all the current APPR information. Teachers and parents share deep concerns about the standardized tests used by New York state for accountability purposes. Those include: stress on students, in-appropriateness and lack of validity of the Common Core-aligned tests, loss of learning time, misuse of tests for high-stakes decisions, erosion of local control over school decisions and lack of transparency on state test content. 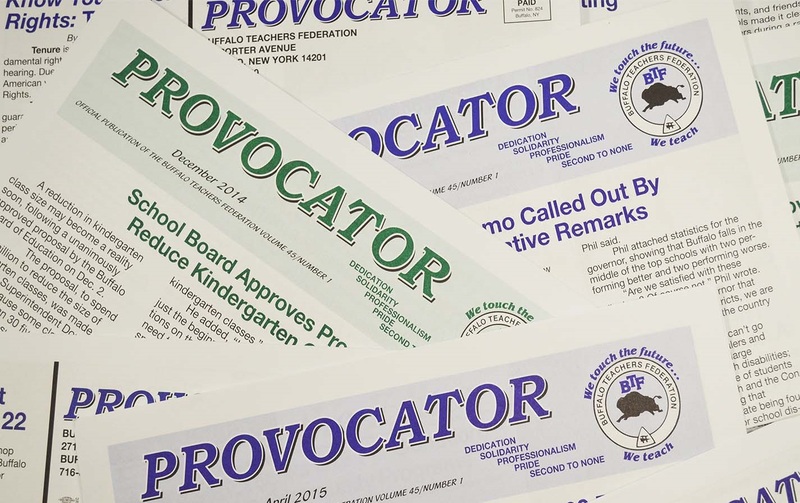 Parents who decide it is not in their children’s best interests to take these assessments are part of an “Opt-Out” movement that is growing nationally and in New York state. BTF fully supports parents’ right to choose what is best for their children. Click here to keep up to date on the "Opt-Out" movement and other information information. 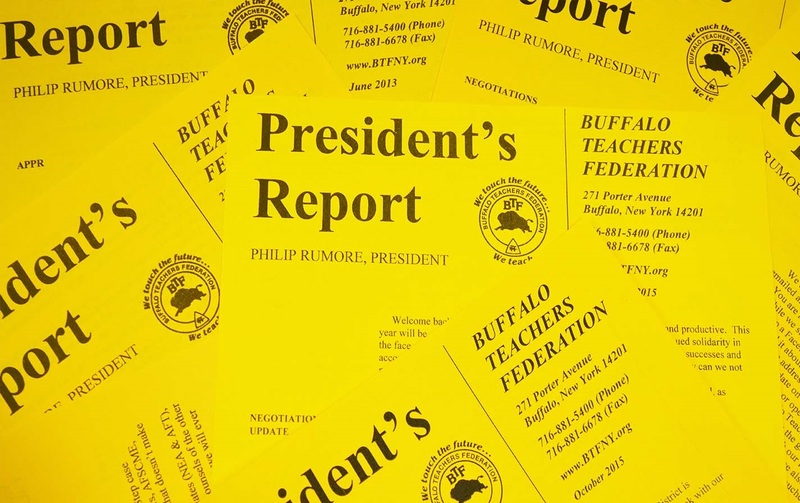 The Buffalo Teachers Federation is the professional union that represents all contract, probationary and temporary teachers of the Buffalo Public Schools. We are currently over 3800 members strong, and continue to grow as a professional, progressive union. NYSUT is made up of more than 1,200 local unions who work in, or are retired from, New York's schools, colleges, and healthcare facilities. NYSUT stands united in a common commitment to improve the quality of education in New York. The National Education Association is committed to advancing the cause of public education. NEA's 3 million members work at every level of education—from pre-school to university graduate programs. The American Federation of Teachers, an affiliate of the AFL-CIO, represents 1.6 million members in more than 3,000 local affiliates nationwide. There are five divisions within the AFT that represent the membership.